On Monday, March 2nd at 7pm, please join Spec’s fine wine buyer Bear Dalton at the Wine School at l’Alliance Française for a Vintage Focus on Bordeaux 2008. As it is not 2005 or 2010, the 2008 vintage was largely dismissied or even ignored by the press. Nevertheless, 2008 is a “Classic Vintage” that allows the typicity and terroir of each very specific place to shine un-obscured by the ripeness and alcohol of a “great vintage.” 2008 is the sort of vintage that proves Bordeaux’s place as a maker of great wines. Discussion will include details of the vintage and how the wines have developed. We’ll taste through 12 excellent red wines, all from 2008 vintage. This Vintage Focus on Bordeaux 2008 will cost $100.00 per person (Cash or Check) or $105.26 regular. The class will meet at 7pm on Monday, March 2, 2015 at l’Alliance Française. To reserve your spot, please contact Susan at 713-854-7855 or email coburnsusan2@gmail.com. Please note that when you reserve, you are “buying a ticket to an event.” If you are not going to attend the event, you must cancel at least 24 hours in advance or you may be charged. I’ve been going to Burgundy pretty regularly now for over 18 years. In that time, I’ve learned a lot about the winemaking but long before I ever visited Burgundy, I knew that Burgundian red winemaking meant fermenting Pinot Noir grapes in open-top fermenters and managing the cap using pigeage or “punch downs.” That’s what I had been taught, that’s what all the books said, that’s what I expected to see, and – when I got there – that is in fact what I saw. 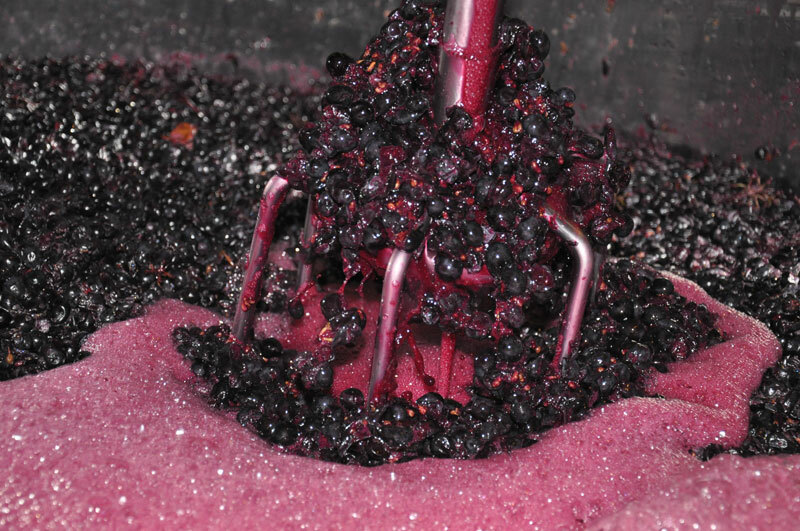 Open-top fermentation tanks with the apparatus necessary to punch down through the “cap” of skins that forms on the top of the juice. No surprise there. On Monday, February 9th at 7pm, please join Spec’s fine wine buyer Bear Dalton at the Wine School at l’Alliance Française for a Varietal Focus on Malbec. We will trace and taste Malbec from its homeland in the southwest of France to its new territories in Argentina and on to Chile and the US. 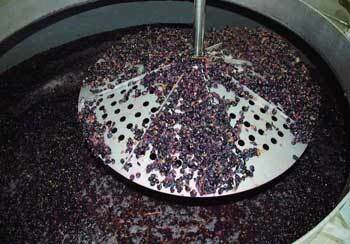 Disscussion will include Malbec’s history, what makes it unique, and how it is made along with Malbec and food. Twelve Malbec wines will be tasted. The tasting will conclude with a couple of hundred-plus-dollar-a-bottle icon wines (one from France and one from Argentina). This Varietal Focus on Malbec will cost $60.00 per person (Cash or Check) or $63.16 regular. The class will meet at 7pm on Monday February 9th 2015 at l’Alliance Française. To reserve your spot, please contact Susan at 713-854-7855 or BearDalton@mac.com. On Monday, February 16th at 7pm, please join Spec’s fine wine buyer Bear Dalton at the Wine School at l’Alliance Française for a Vintage Focus on Bordeaux 2006. As it is not 2005 or 2009, the 2006 vintage was initially under-rated by the press and has been ignored for the last several years. While 2006 is not a “Great Vintage,” it is a “Classic Vintage” that is now coming into its own as the wines emerge from the dumb stage. What is a “Classic Vintage?” One that shows what put Bordeaux on the world wine map. Which is to say a vintage in which each wine shows the typicity and terroir of the place. Discussion will include details of the vintage and how the wines have developed. We’ll taste through 12 excellent red wines, all from 2006 vintage. This Vintage Focus on Bordeaux 2006 will cost $100.00 per person (Cash or Check) or $105.26 regular. The class will meet at 7pm on Monday February 16th 2015 at l’Alliance Française. To reserve your spot, please contact Susan at 713-854-7855 or coburnsusan2@gmail.com.